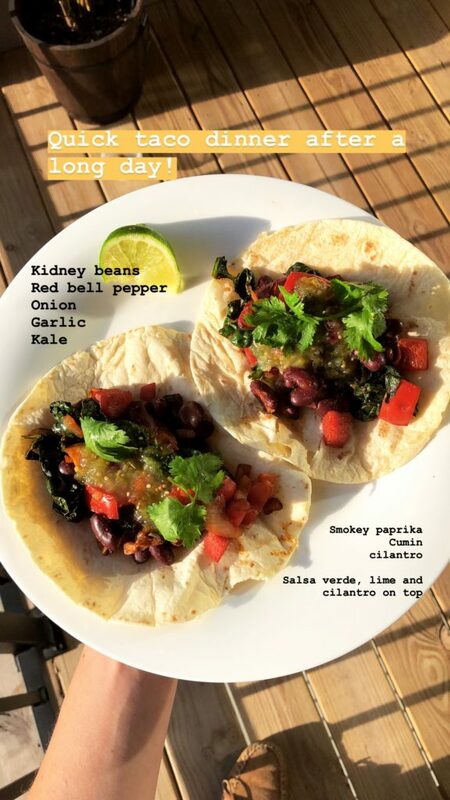 This is an easy, quick and vegan recipe (it can be gluten free by using corn tacos). Stir fry the onion, garlic and peppers in a frying pan in a little oil, or a little oil and some water. After about 5 mins when beginning to soften, add the spices and the drained can of beans. Stir fry for a further 5 mins and add the kale. Season with salt and pepper and more spices if you wish. Add a handful of fresh cilantro if you have it. Serve on warmed or toasted tortillas/tacos and top with a tbsp salsa on each, plus cilantro and lime juice. To see a new and simple plant-based recipe from Roamers each week, visit www.roamersplantpower.com/roamers-recipe! This is great! Need to know more!!! !